The threat of additional tariffs on all imported Chinese goods appeared to dominate media headlines last week as President Trump alluded to the idea. Our first impression was one of confusion as to the objective nature of this potential decision. We believe it would be extremely detrimental to growth if such an action were to be initiated given that many goods imported from China stem from operations decisions that are headquartered domestically. The outcome would likely be one of inflation and less purchasing power to U.S. consumers followed by a widening gap of economic prosperity across the globe. Although such an outcome may sound favorable to the U.S. in the very near-term, we would argue that broad economic well-being tends to produce the best results when all markets rise with the tide. Meaning, we would like to see the current synchronized global growth story remain intact throughout the year and into 2019. Additional tariffs in such a globalized trading environment would not be conducive to growth, in our opinion. 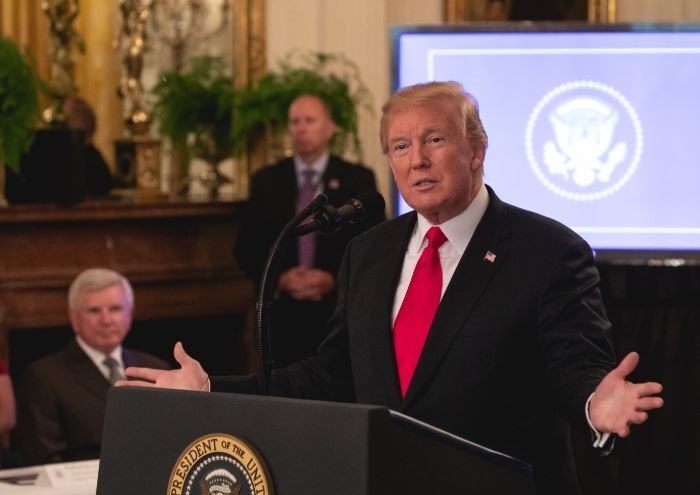 Outside of tariffs, President Trump remained in the headlines last week when he commented on his unhappiness of potentially higher interest rates by the Federal Reserve. Market participants drove equity prices slightly higher following the announcement while volatility in the U.S. dollar was also apparent. In yet another unconventional move by a President, the discussion of Federal Reserve decisions, which are entirely independent of the White House (at least they should be), may be construed as leading the current Fed Chair toward certain actions. More to come on this topic as comments from the Fed in upcoming meetings will provide further insight on the potential path of interest rates. Shifting focus to economic data releases during the week, June retail sales were announced as expected and provided a continuing strong positive tone to consumer behavior. This falls broadly in-line with what we’ve been discussing and we look forward to the upcoming release of gross domestic product (GDP) growth. Sales aside, June industrial production growth surpassed estimates and further supports the notion of strong manufacturing. Conventional wisdom may suggest that the manufacturing and industrial landscape may suffer amidst the current fiscal policy rhetoric tied to protectionism but we have yet to see attrition from such sentiment. This isn’t to say that the negative trickledown effect won’t materialize over the next few years, which we believe is the most likely outcome if the current proposed tariffs are fully implemented, but the current data is pointing to a fairly vibrant environment. Housing starts for the month of June proved rather disappointing as we saw a month-over-month decline surpassing -12%. Building permits experienced a similar trend in June albeit the absolute decline was substantially lower at a mere -2.2%. As we step back and gauge the housing market from the lens of monetary policy (i.e. cost of borrowing for a mortgage), it appears that the path of interest rates should be of little concern to potential buyers. As of Friday, Bankrate.com reported that the fixed national average interest rate, for buyers with strong credit history, stands at 4.37%. Although this is higher than a year ago, the figure stands at the same place as that of 2013 and 2014 and we believe it does little to deter further home ownership. Given the data in June, we will refrain from making an objective comment since one data point does not define a trend and we will be paying close attention to Monday’s release of existing home sales. Month-over-month volatility in such macroeconomic data points is not uncommon and it will take at least three months for a decisive trend to be established, assuming the data remains depressed to the downside.